With announcement of cloud functions beta at Google cloud next 2017 event, Google has added one of the highly requested features in the firebase suite. This is one major step from Google in making firebase serverless. In this post, we will see some of the capabilities, pros and cons, setup and deployment of firebase cloud functions. Google IO is just days away and knowing about firebase is surely going to help in understanding the upcoming firebase features. Serverless computing, also known as function as a service (FaaS), is a cloud computing code execution model in which the cloud provider fully manages the starting and stopping of a function’s container as necessary to serve request. Rather than per virtual machine, requests are billed by an abstract measure of resources required to satisfy the request. The name serverless architecture / computing does not mean no servers are involved, it means the maintenance, scaling and management of servers is handled by the provider so developers can focus on single purpose service and core business problems. The first major serverless offering was back in 2014 by Amazon as AWS Lambda. Firebase cloud functions (Beta) are relatively new (only a couple of months). Pricing is in 3 tiers, the free tier includes a generous usage limit so you can take an informed decision after trying it out. 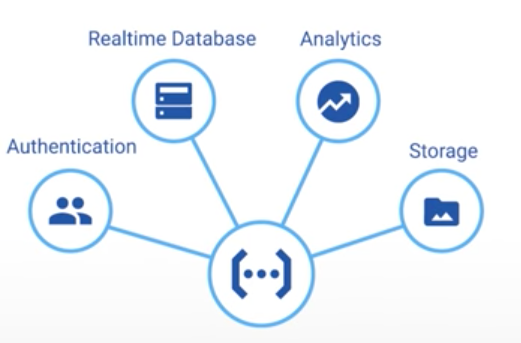 Since it is backed by Google there are easy integrations available with google services like Compute engine and analytics. According to official documentation, it is a glue between firebase and cloud services (outbound networking not available in free tier). 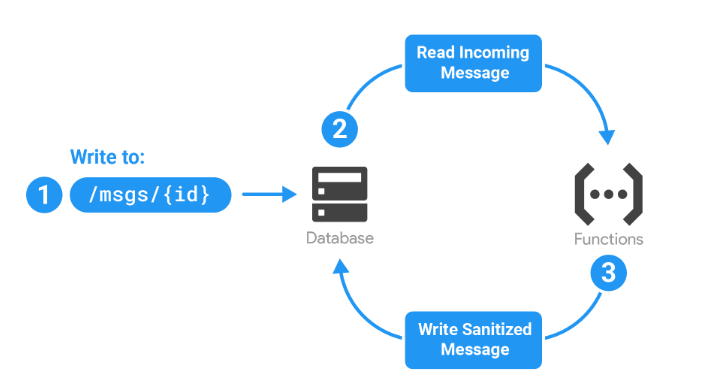 Sanitize abusive text content from database (with real-time database triggers). Send welcome email to new users (with authentication triggers). Send a gift coupon as push notification to a user who just purchased something from your app (Firebase analytics triggers). 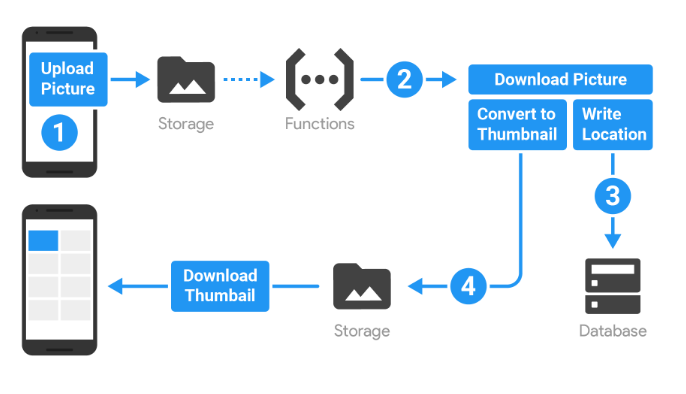 Create and store thumbnail of images, filter out abusive images (Cloud storage triggers, with cloud vision API). Use networking library of your choice to trigger cloud function to send push notification, get data etc. (HTTP triggers). package.json – Used by node to describe the project. All the project dependencies are listed here. By default it lists “firebase-admin” and “firebase-functions” as dependencies. node_modules – This is where npm keeps all its dependencies. If you have worked with node.js you already know about this. No need to checkin the entire folder on source control. index.js – This is the entry point for defining all the cloud functions. This is where the server code resides. Once this is done, create your cloud functions in index.js. Below are a few examples. Lets see some examples first before deploying the cloud functions. This cloud function is just performing some random task based on the request. Like reject PUT requests, return user count from real-time database with or without the name parameter that gets passed in the post request. The point is: It can be triggered via a REST end point and has access to firebase features like real-time database. These type of triggers can be attached to any node of the firebase real time no-sql JSON database. For every change in that node, the function is triggered. Here is an example of use case discussed above, sanitize abusive text from database. Among many offerings, firebase also provides an auth SDK that enables app developers to integrate social login with major identity providers like facebook, google, twitter etc. Once a user logs in with one of these or signs up via email (the firebase way) an event is emitted, this can be used to send welcome email to new users. 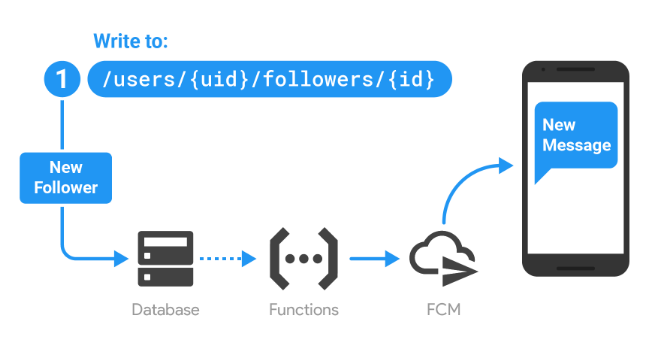 const user = event.data; // The Firebase user. The function definition states that this event will be triggered when a new user is created. To implement sendWelcomeEmail function any 3rd party providers (paid tiers) or gmail can be used. Notice the function URL for http triggered cloud function. Use this as http end point for triggering. Cloud functions are very helpful in keeping all the business logic centralized in one place and not in multiple clients. Firebase real-time database makes it insanely easy to develop MVP. Database triggered cloud functions enables solving many issues that will otherwise need an app update. Value for money: free and paid quota are much better than what is available out there. Single command for initialization and deployment. Maintaining cloud server code can become a nightmare as your business logic becomes complex. In case of an error like the infinite loop issue mentioned above, there is no alert. Firebase doesn’t support complex database queries yet, this restricts what can be done with firebase functions. Only one language choice as of now. Vividity: Photo sharing android app using firebase (check it out here). This has an index.js file at its root which covers some of the use cases discussed here. Let me know what you think. Got any questions? Shoot below in comments. "thanks for taking time to write it and open sourcing it. ".